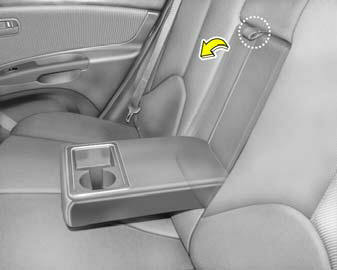 The rear drink holder is located in the rear seat armrest for holding cups or cans. The rear drink holder can be used by pulling the rear seat armrest. Use caution when using the drink holders. A spilled beverage that is very hot can injure your passengers. Spilled liquids can damage interior trim.